Our Digital Elevation Model of the whole Himalayan region is compatible with all major GIS software products like QuoVadis(R) or Global Mapper(R). It covers the complete Himalayan region including Nepal, India, Sikkim, Pakistan, Bhutan and Tibet. 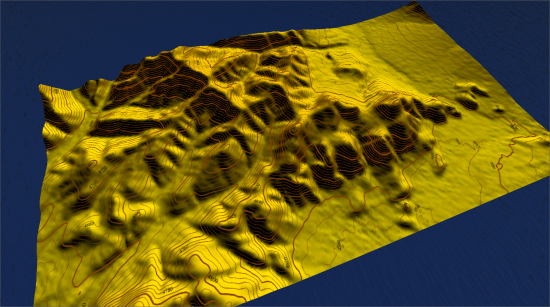 The DEM data can be used to view 3D data, enhance existing 2D maps with elevation data, create nice maps with hill shading etc. 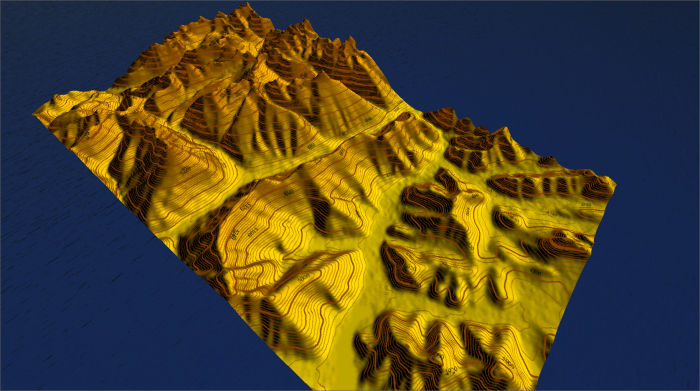 (functionality depends on your GPS software). 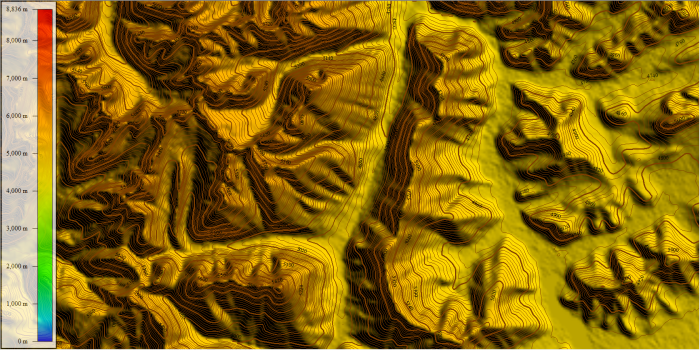 Furthermore we inlcude a detailed vector data layer of contour lines at an interval of 20 meters! The contour lines were created from the DEM data at a very high level of detail. 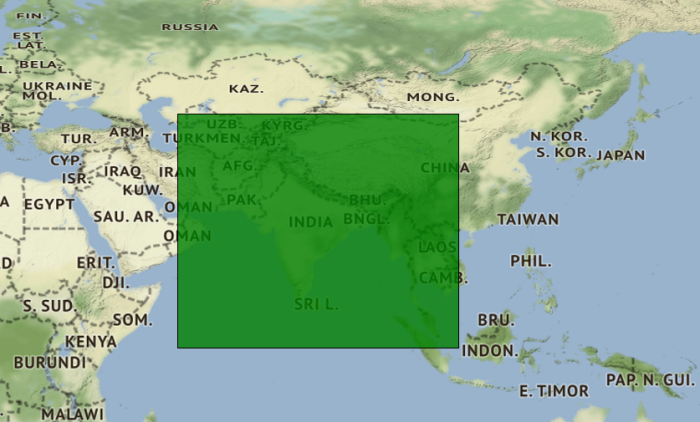 You can use this layer as an overlay for existing raster maps or to create own vector maps from sources like OpenStreetMap or similar. The data can be used in QuoVadis and Globalmapper only (for other GPS software the data has to be converted before usage). The basis of our Digital Elevation Model is the 3 arc seconds data set collected by the 2000 Shuttle Radar Topography mission (NASA/USGS SRTM3). 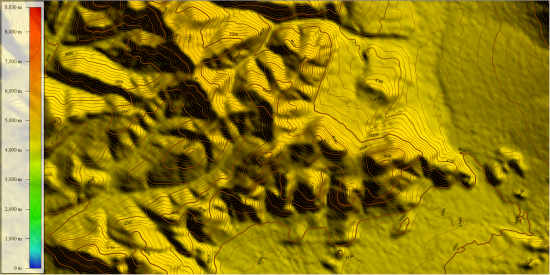 This data was enhanced and corrected by Jonathan de Ferranti from Viewfinder Panoramas with other topographic sources like raster and paper maps. 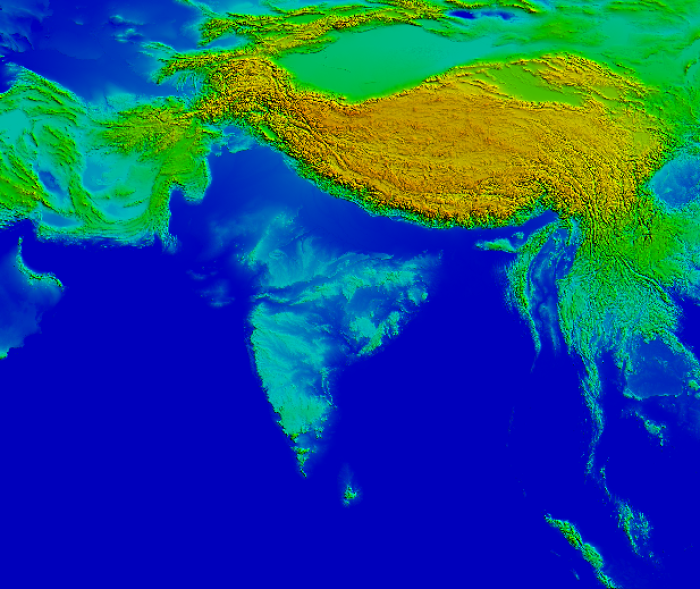 Therefore the data from Viewfinder Panoramas is the best DEM data available for the Himalaya region. 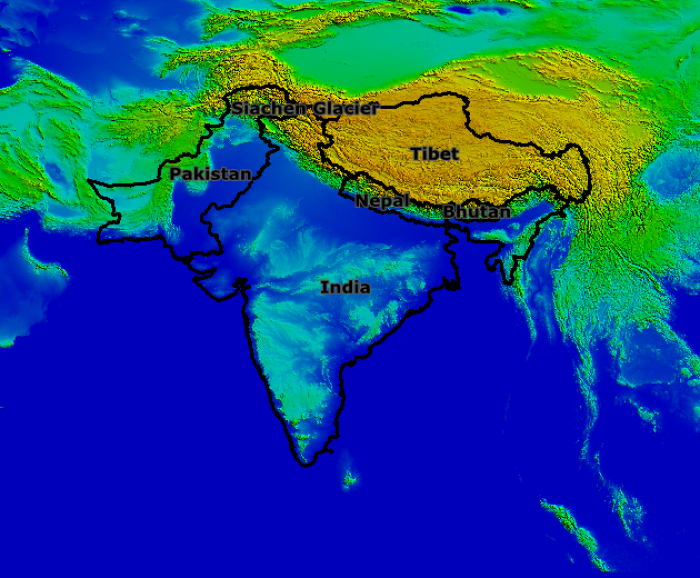 The data from Viewfinder Panoramas was slighty corrected and enhanced by HimalayanGPSMaps in 2016. If you would like to purchase the download version please note that the file sizes of the data are 5.0 GB (DEM) and 6.9 GB (vector).